Mother Elizabeth McFarland Reaves, 89, departed this life Monday February 11, 2019 at her home in Marion County. She was the mother of Elder Edward Charles Reaves, Diane Reaves, Caston Reaves and Cynthia Parker. You may visit the family at 6754 Ansel Court Marion. Funeral services are scheduled to be held at the Greater Fork Chapel AME Church Saturday February 16, 2019 at 2:00 pm. She will be laid to rest in the Greater Fork Chapel AME Church Cemetery. Elizabeth M. Reaves, better known as Liz, to her friends and family, was born to the late Abe and Helen McFarland on Wednesday, August 21, 1949 in Horry County. She departed this earthly life on Monday, February 11, 2019 at home after a brief illness. Mother Reaves accepted Christ at an early age as her personal Savior. She was a member of Greter Fork Chapel AME Church where she served on the Usher Board and ushered on 5th Sundays. In earlier years she also was a memeer of the Trustee Board and the Choir. Mother Reaves was married to the late Pearly Lee Reaves and this union was blessed with 11 children. She was preceded in death by her parents and her husband. She was also preceded in death by 3 children: Eddie Lee Reaves, Pearly Mae reaves Bynum and Mary Elizabeth Green Gerald. 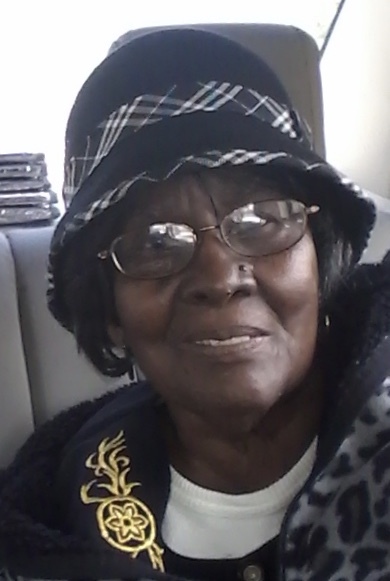 Those left to cherish her fond and loving memories include her children: Elder Edwards Charles Raves of Latta, SC, Diane Reaves of the home, Caston A. Reaves of Chesapeke, VA, Cynthia R. Parker of Marion, SC; one sister: Dora L. Edward; one sister-in-law: Everyn Reaves; a special friend: Sis. Ruby Davis as well as a host of grandchildren, great-grandchildren, great-great grandchildren and great-great-great grandchildren and a host of of family and friends.